I am looking for a clan due to my old clan being inactive. Looking for a clan with optional clan war participation as I currently not looking to participate in these. Mainly looking to participate in clan games and farm. Find my player tag at the bottom if you wish to view my base. For anyone that is interested I am level 149. Sent you friend request and invite to come check us out at Force Thunder #VUY92PR. War isn't required, but definitely want people to help with clan games. Sent invite! 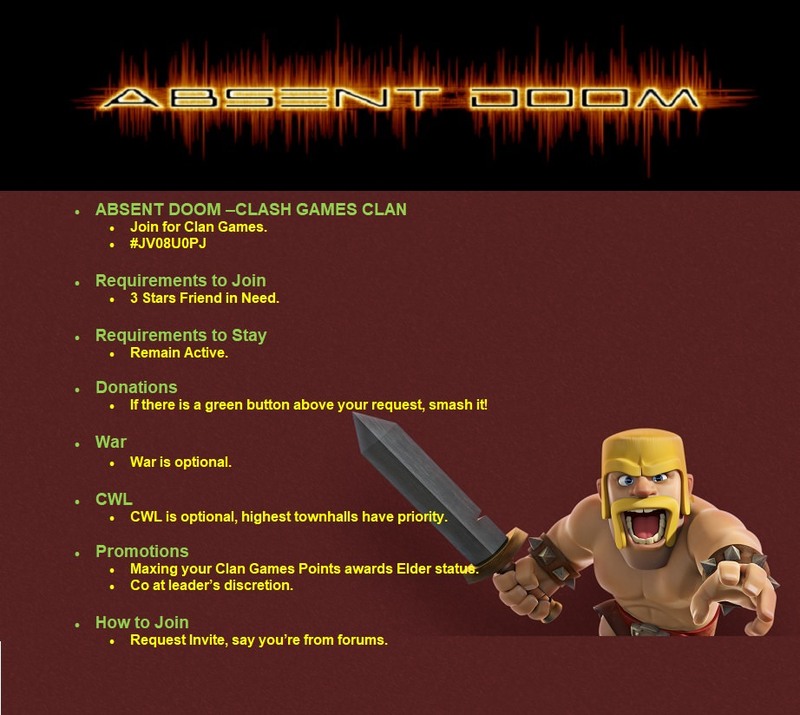 Bring your active clan mates if you want We are a Clan Games Clan w/War being optional. Last edited by BloodPurchased; December 7th, 2018 at 01:30 PM. -We are adults so we swear but please, do not abuse it. Check out FLATLINE 2.0 Level 13 #P9QYU8UR. Relaxed mature environment. Farm/Casual War where war is optional not require, but we do war and take it serious. No app to download but this is Wichita family clan of 4 discord server https://discord.gg/mJ7WQby you are welcome to swing by and chat with us. Mention Muoi sent you or from forum in request to join. Have a great day!!!!! Nashacus, I just sent you an invite. Come interview and talk to us in game. It looks like you might be a good fit for our clan. A Co-Leader in Riverbears (#220P89Y8), a proud member of The Bear Family.